The distribution of OS versions on BlackBerry phones is mostly unchanged from last month. Use of OS 7.0 is up half a percent to 22.6% of BlackBerrys. This data was taken from downloads of the popular BlackBerry strategy game Pixelated. 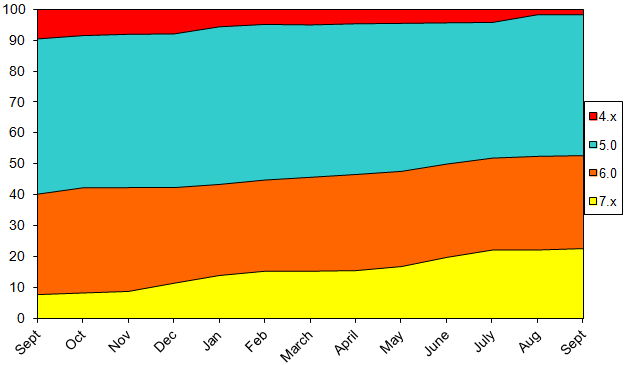 Data shown on the chart is from the beginning of September 2011 through the end of September 2012.